Sysdig, Inc., the cloud-native intelligence company, today announced it raised $68.5 million in series D funding, led by Insight Venture Partners, with participation from previous investors, Bain Capital Ventures and Accel. 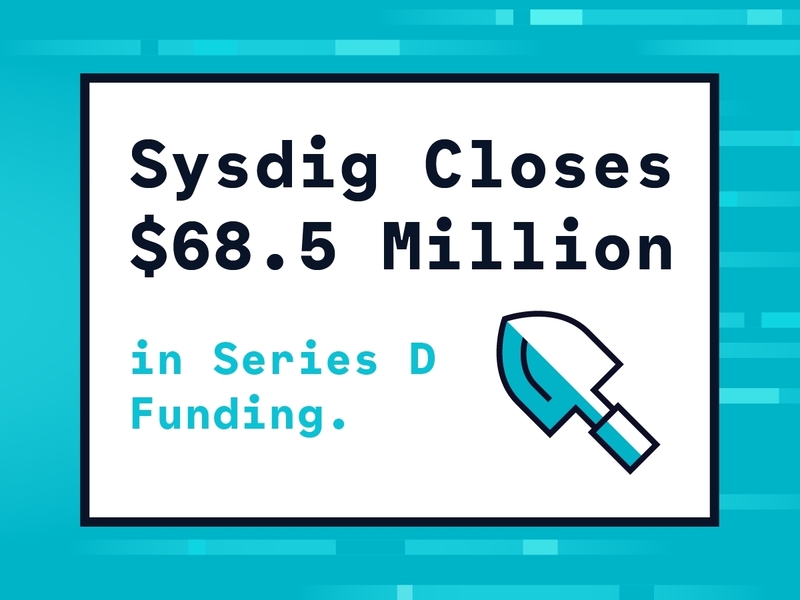 This round of funding brings Sysdig's total funding to date to $121.5 million. Sysdig will use the funds to extend its leadership in enabling enterprises to operate reliable and secure containerized infrastructure and cloud-native applications. Sysdig offers enterprises the first unified approach to container security, monitoring, and forensics. Unlike traditional approaches, the Sysdig Cloud-Native Intelligence Platform was built with an understanding of the modern DevSecOps workflow across Kubernetes, Docker and both private and public clouds. Sysdig's open source forensics technology, Sysdig, and its open source security project, Sysdig Falco, have a community of millions of users, and provide the foundation for a rich, commercial product set. Dozens of Global 2000 enterprises are Sysdig customers today, including many of the world's largest financial institutions, media companies, cable companies, technology companies, and government agencies. 451 Research predicts the cloud-enabling technology market to grow to $39.6B through 2020, and containers are predicted to be the fastest growing segment of that market at 40%. Gartner predicts that "by 2020, more than 50% of global organizations will be running containerized applications in production, up from less than 20% today." "As enterprises accelerate their move to cloud-native applications, they recognize the need for a new breed of solutions that will enable them to meet performance, reliability, security, and compliance requirements," said Richard Wells, Managing Director at Insight Venture Partners. "Sysdig's novel approach of tapping an entirely new data source that provides both security and monitoring for container-based applications has proven more effective, more scalable, and higher ROI. That significant technological advantage combined with an experienced management team led by CEO Suresh Vasudevan gives Sysdig a strong position in the marketplace and we are excited to welcome them to the Insight portfolio." "Enterprises are adopting cloud-native technology for its speed of development, multi-cloud scaling capabilities, and lower total cost of ownership," said Suresh Vasudevan, CEO at Sysdig. "But, they are hitting roadblocks with old school security and monitoring products. To be successful, these organizations need new solutions that are cloud-native. Sysdig has emerged as the only solution that delivers enterprises the complete set of capabilities needed to protect an environment, ensure that it is running smoothly, and meet compliance requirements. Sysdig delivers it all, both in the cloud and on-premise, in order to grow with companies as they undertake this journey."